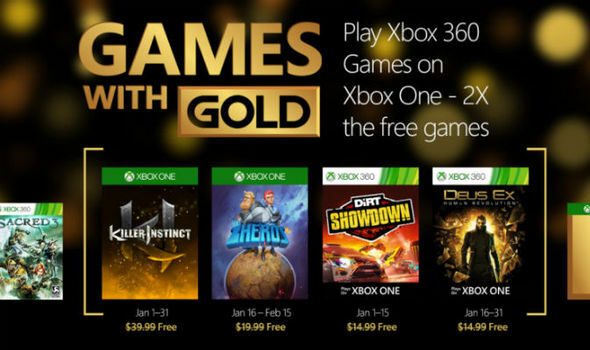 February is quickly approaching, and with it comes a new lineup of free Games with Gold for Xbox Live Gold members. That also makes today your last chance to claim January’s Games With Gold titles, most of which return to their regular price on February 1. On Xbox One, Gold members have a few more hours to download the action-RPG The Incredible Adventures of Van Helsing III, while Xbox 360players can snag the co-op action game Army of Two. Like all other Games with Gold titles, the latter is also playable on Microsoft’s newer console thanks to backwards compatibility, giving Xbox One owners two freebies to claim right now. Both of the aforementioned titles will only be available until February 1, when they’ll be replaced by the next free Games with Gold. That batch includes the Xbox One first-person shooter Shadow Warrior and the Assassin’s Creed spin-off, Assassin’s Creed Origins: India. On the 360 side, the racer Split/Second will be free for the first half of February, while the Dreamcast classic Crazy Taxi will be available from February 16-28. Gold members also have until February 15 to claim January’s final free title, Zombi. You can find the full list of January’s Games with Gold titles below. In addition to those, Gold members still have a few days to take advantage of this week’s Deals with Gold, which offer discounts on Fallout 4, FIFA 18, Madden NFL 18, and other Xbox One and 360 games.